The Middletown Insider: Turkey Shoot This Sunday! 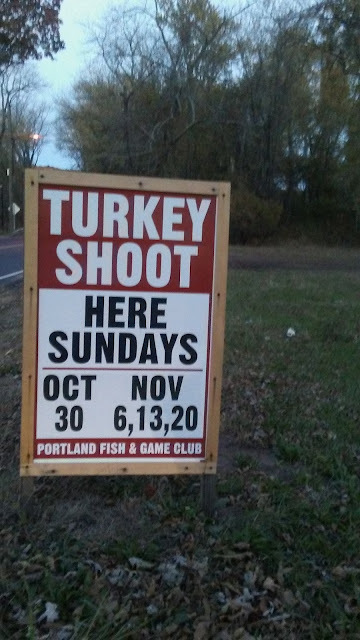 This Sunday, the Portland Fish and Game Club hosts its second turkey shoot in this year's annual four week event, leading up to Thanksgiving. This event is held in the field across from the Portland Fair Grounds on Rt. 17A in Portland CT and is open to the public.